Hello all! 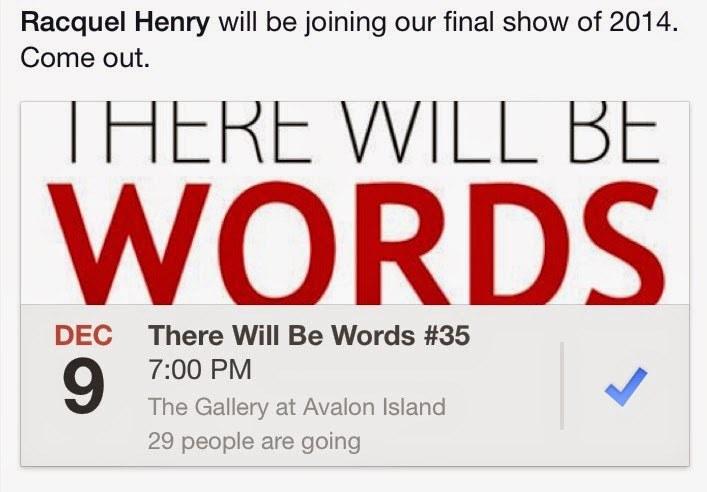 Tonight, I am a featured writer at There Will Be Words. There Will Be Words is a monthly reading series in Orlando Florida organized and hosted by J. Bradley. This will be the last show of the year. I'll be reading some of my short fiction at 7 P.M! Some of the other featured writers include, Danielle Armstrong, Madison Strake Bernath, and Dan Lauer. Come out if you're in the Orlando area.